The Hindu Kush mountains are a beautiful landscape in Afghanistan. Though recent years have seen much conflict in the region, it used to be associated with some of the world's best cannabis. The Kush landrace, named after these mountains, has a rich history worth exploring. The Hindu Kush mountains are the westernmost region of the Himalayas. These are some of the most strikingly beautiful mountains in the world. They are also among the most dangerous, before you even get into the region's long history of warfare. Alexander the Great explored these peaks. Today, the US military is still stationed there. These mountains have known times of relative peace. Before the hard times of Soviet invasion and Islamic totalitarianism, Afghanistan was a modernising nation that welcomed visitors. In the ‘60s and ‘70s in particular, tourists were known to explore this area for one particular feature; cannabis plants had grown in the wild here for centuries. They were reputedly among the world's best. When their seeds were discovered, they were brought around the world, and subsequently changed cannabis for all of us. If you have ever had a Kush strain, you will know that it is a reliable mark of quality. Kush strains carry the name of the mountains from which their landrace originated. The mountains themselves have a name of unclear origin. "Hindu" is a corruption of the "Indus" river, which Westerners later named India. The word "kush", however, has uncertain and hotly-contested origins. In the modern world, Kush is synonymous with high-quality cannabis. The genetics of the plant had thousands of years to flourish in the Hindu Kush mountains. They often grew on inaccessible mountainsides, safe from many dangers and at an altitude slightly closer to the Sun. Combined with the rich soil of the region, the terroir was ideally suited for cannabis to grow potent. Visitors to the Hindu Kush smuggled seeds of these plants around the world. Kush strains began to appear, often combined with other strains to make a range of hybrids. There is an enduring popularity to Kush strains. Song lyrics and even song titles refer to cannabis as Kush, conveying a sophisticated taste in cannabis. There are just so many attributes that make Kush properties appealing. A pure Kush is an indica plant, with euphoric effects that relax the body, often to the point of making one sleepy. It also does wonders for relieving pain and delivering a powerful high with its impressive THC content. Orange hairs and a frosting of trichomes cover dense buds with a vividly strong green colour. It is a good sign when buds are so resinous they feel sticky. That means there is probably a lot of THC being stored in the trichomes. Perhaps the most recognisable aspect of Kush is that unmistakable aroma. As though transporting you to the mountains from which they came, there is a sharp pine scent. The smell tends to be particularly pungent and earthy, containing many hints of spice, sandalwood, and herbs. It just makes a Kush strain all the more sumptuous. It can get sensual when you combine that flavour with another tasty variety. Kush has taken off in a big way and has formed the foundation for a legacy of subsequent classic hybrids. 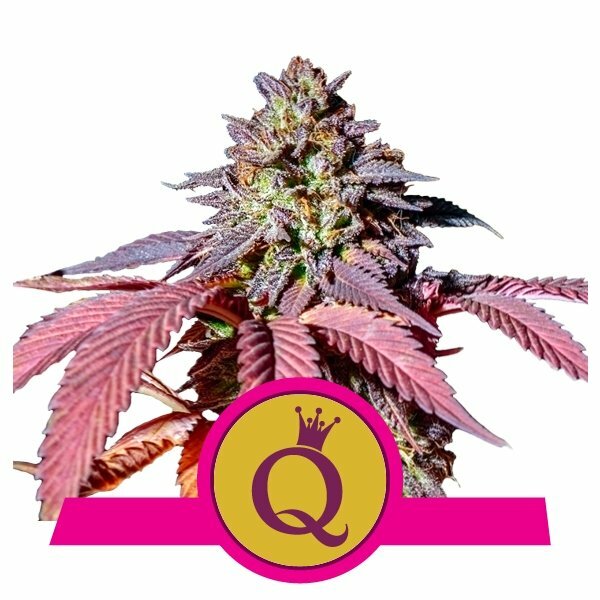 Here are five of the very best Kush hybrids that you can order right now from Royal Queen Seeds! OG Kush is the original gangster, because it really did kick off this global craving for Kush. Although, OG actually stands for “ocean grown”, hinting at the incredible terroir of California for growing high-quality cannabis. From here, many popular strains have achieved acclaim around the world. 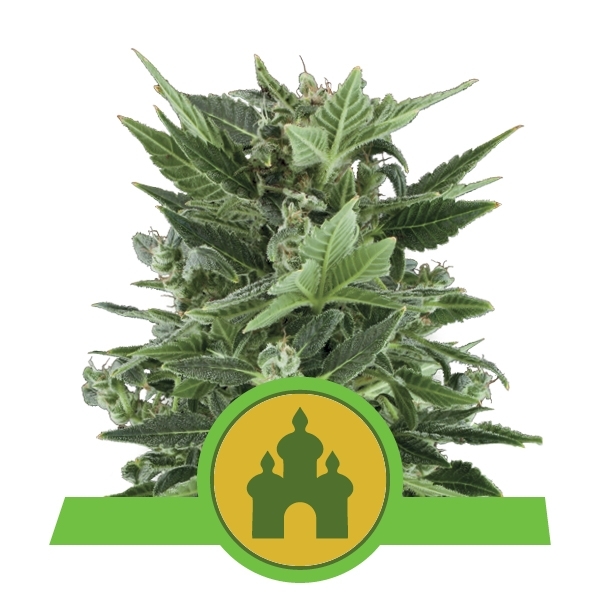 OG Kush is a lasting, iconic contribution with a good amount of CBD to complement the THC. You will always get lush green buds with a relaxing, uplifting high. This makes it great for soothing pain, stress, and anxiety. There is also a lemon citrus tinge that uplifts the classic Kush flavour profile. If you want a Kush strain that is particularly sweet, Candy Kush will be a real treat for you. This is a must-try for those with a sweet tooth. The great thing about cannabis is that different terpenes can create the most sensational flavours. Combining a taste of Kush characteristics with sweeter hints of citrus, berries, and flowers, there is quite some flavour from Candy Kush. Its aroma will even remind you of candy floss. The sweetness of this strain should add to its soothing effects. The THC content surpasses 18%, plunging you into an arrestingly relaxed state. This hybrid's genetics consists of 60% indica and 40% sativa, so there will be uplifting and happy effects too. There is another landrace from Afghanistan that just had to be combined with Kush. Purple cannabis plants have also been known to grow in this region. These have buds with much darker leaves, turning hues of blue, purple, and sometimes even red. This is because of the presence of anthocyanins colouring the plant and endowing it with more antioxidant properties. Combining it with Kush leads to the supremely satisfying Purple Queen. There is intense stimulation to be expected from the THC content surpassing 22%. This indica-dominant hybrid will be potent, so pace yourself with this one. Another cannabis plant that grows in the wild is the ruderalis plant. If you are looking for something close to what thousands of years of our ancestors experienced, try breeding with a ruderalis plant. Your hybrid will be more "organic" in the sense that it builds on pure genetics. Combining these genetics with Kush has led to Royal Kush Automatic. This holds a treasured place in our catalogue of autoflowering seeds. It still captures all the great Kush qualities, with THC content at a considerable 13%. There is also higher CBD content in Royal Kush Automatic. If you prefer to grow autoflowering strains, this one is very manageable, growing only 60–90cm tall. This strain was named after the green monster unleashed by Marvel. It is a seriously heavy strain you are dealing with when toking on Hulkberry. It does grow huge, thick, monstrous green buds. And the THC content can reach as high as 28%! This will not be mellow like some of our other Kush hybrids. This is actually a sativa-dominant hybrid, owing much of its genetics to Strawberry Diesel. This is also where Hulkberry gets it sweet strawberry flavour, along with a lingering taste of lemon. The pungent fuel aroma will alert you to how much of a punch Hulkberry packs, so approach this one responsibly.